Like people, animals become more active on cool summer evenings, increasing the likelihood of seeing a Barred Owl, a White-tailed Deer, or even a fox family. 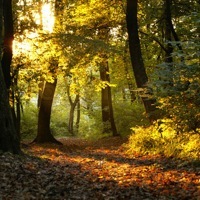 On these guided walks, we will hike the forest and meadows, looking for wildlife and their signs. Perhaps we will stroll near the lake and be able to see a kingfisher flit along the shore or an osprey diving for a fish.